Maybe there are better tasting and smelling Milibrot breads (milk bread that originates from Germany- Milchbrot) that have been made out there, but my Nan's will always be my favourite. So, naturally I tried to replicate what she used to bake without a recipe and without mistakes... and failed every single time. The truth is that even if I succeeded, I wouldn't have known; how can you recreate a memory? 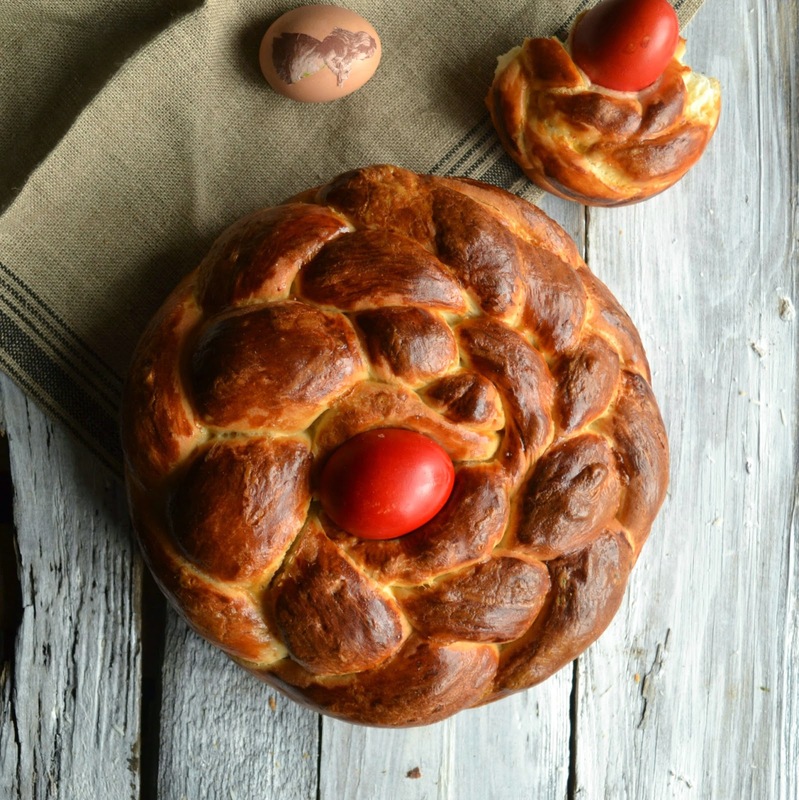 I don't think it's possible and yet, it felt that I came very close to my imagined perfection with this "rehearsal Easter bread". And just when I was proudly enjoying the moment of success and was nibbling through my second slice, I heard my daughter saying - Not bad, but not quite like Nan's. Oops! What I had between two bites , was a moment of clarity and what she said all of a sudden made sense; I shouldn't try to match my Nan's Easter bread, I should patiently wait my turn to create a similar memory for someone instead. Start by dissolving yeast in warm milk, add a spoon of sugar and couple of spoons of flour, mix and wait for yeast to become active and bubbles appear. In a separate bowl, mix the flour, vanilla, lemon zest, sugar and salt. Beat the eggs with cooled malted butter; add the yeast and egg mixtures and to the flour and mix until you get a very smooth, slightly shiny dough. Cover and leave to rest for half an hour, then knock the dough back, knead slightly and cover to rest until almost triple in size (for about 1 hour, depends on a temperature in your kitchen). Take the dough out on a floured surface and divide it into 3 equal pieces, each should weight around 300g, roll 90 cm long sausages and make a long plait (because the dough stretches as you go you should end up with 90 cm long plait). Starting from the middle arrange the dough in circle, cover and let rise until it doubled in size. Brush with an egg yolk wash before putting into the oven and bake for 35 minutes, or until golden brown in colour.